There are many reasons why these adjacent properties are the most visited destinations on the island. For starters Wingfield Estate is the birthplace of British Colonialism in the entire West Indies. The Estate was granted to Samuel Jeffreson, the great, great, great grandfather of Thomas Jefferson in 1625. The ruins are significant and amongst them, is a recently excavated rum distillery. This unique stone structure dates back to 1681. As such it is the oldest remaining distillery in the entire West Indies. 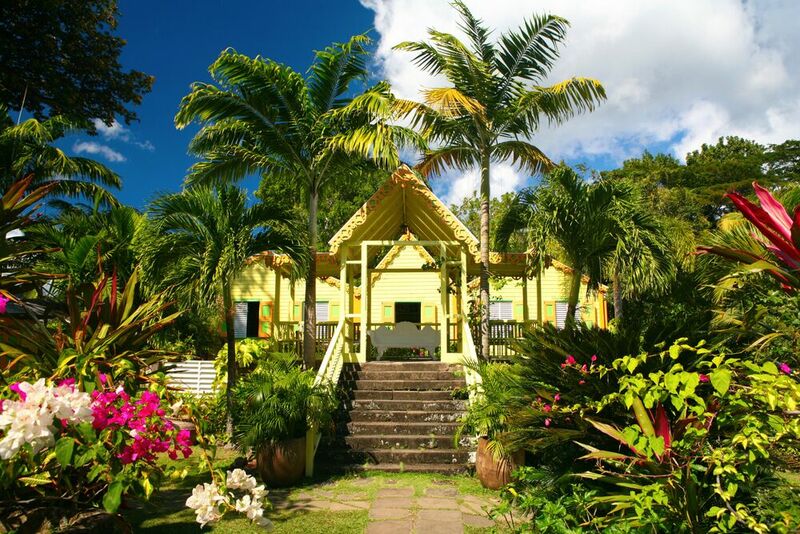 Romney Manor hosts the production and demonstration of Caribelle’s unique, colourful and sought after batik products. Set in several acres of beautiful landscapes gardens and grounds. Visitors enjoy a truly memorable experience, possibly climaxed when sipping our unique ‘Jeffreson’ rum punch while overlooking the splendid views of our rainforest and volcano.